Used 2012 Honda Odyssey EX-L for Sale in Denver CO 80220 Weisco Motorcars, LTD.
**** Handicap accessible van ***** 2012 Honda Odyssey with only 17k miles done in Silver over Gray leather. 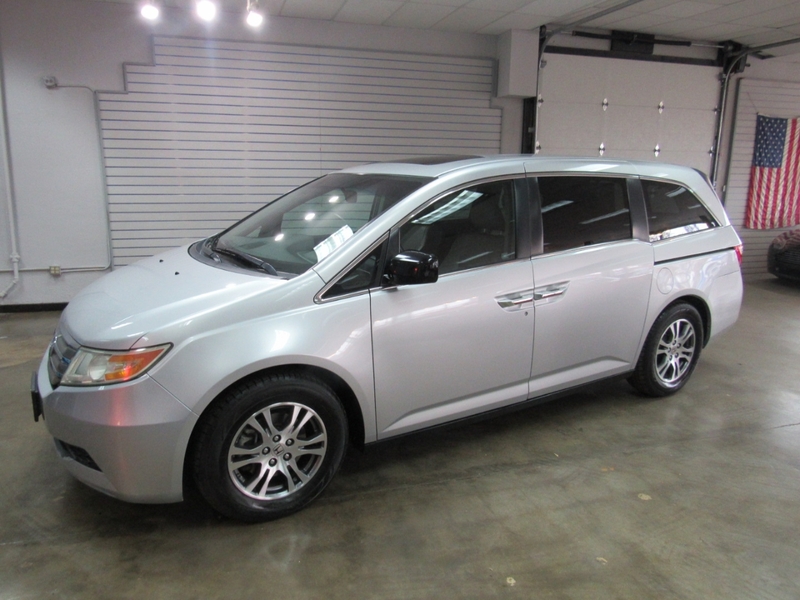 This Odyssey has a $8k power lift chair on the passager side with power sliding doors and all in good working order. Has lots of nice upgrade options like: leather seats, sunroof, keyless entry, back-up camera, power windows, power rear doors, heated front seats, and so much more. Both the body and paint are in very nice shape with little to no wear and free from door dents or chips in the paint. The inside is also very clean plus has not been smoked in and is ready for the new owner to use. If you are looking a good low mile van that is handicap accessible do not pass this up as they do not come up for sale that much and will not last long and if you are out of state we can help set up shipping and save you money on the cost to ship it. Call Weisco Motorcars for more info or to set up a time to stop by for a look over this van.